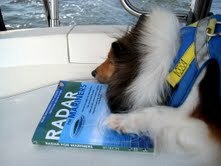 Bailey Likes To Study Up On His Radar Skills! Now that is one smart dog! Great picture.